The biggest bane of women are those few extra pounds here and there. Unsuccessfully, we search for products, which can help us in loosing excess fat, we switch diets and introduce redundant limitations to our menu, which are mostly ineffective. The product, with the biggest controversy rate in weight loss is coconut oil. IS COCONUT OIL EFFECTIVE IN WEIGHT LOSS? It is said that the most important in weight loss is elimination of fat and calorie limitation. After all, everything that is sweet of greasy is usually stored in the organism and causes obesity. Nothing more wrong than that. Lack of fat and sugar in diet doesn’t contribute to spectacular weight loss, because both fat and sugar are necessary elements, which provide proper functioning of the organism. More important is to pay attention to what sort of fat we eat and where do the calories come from. 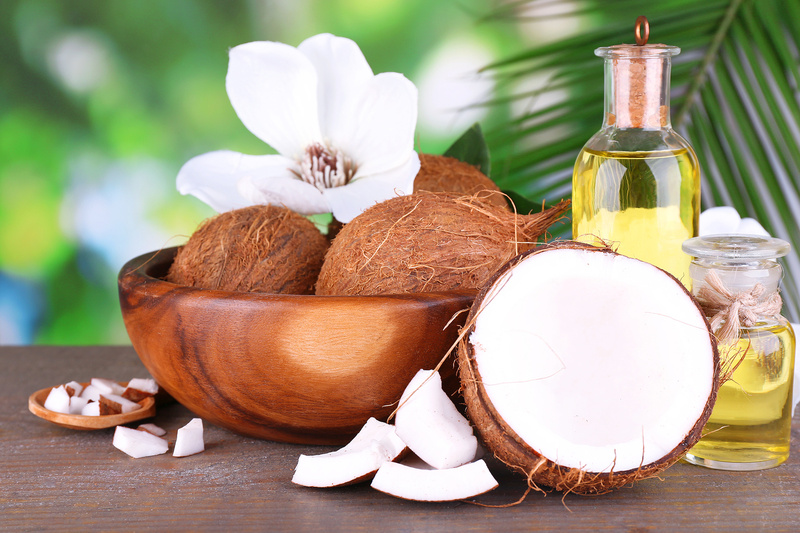 Coconut oil is a perfect alternative for other food fat, because of its composition. At most this oil consists of saturated fatty acids (wrongly believed to be unhealthy), which are necessary for proper functioning of the organism. Characteristic thing about coconut oil is that fatty acids contained in it are medium chain triglycerides, which do not store in organism, and additionally increase use of energy, which results in increased calorie burn. Differently from other fat, triglycerides are not processed into the fatty tissue, but used to produce energy. Besides, that coconut oil contains safe and beneficial saturated fatty acids, it also is great support in weight loss because of other matters. It is proven that ingestion of coconut oil reduces hunger. Ingestion of coconut oil with meals makes us feel full for longer period of time and makes us ingest several hundreds of calories less during the day. To sum up, coconut oil is great for weight loss, because it has multidimensional properties. It causes weight loss and is great in elimination of abdominal obesity, which is consider to be hardest to eliminate.